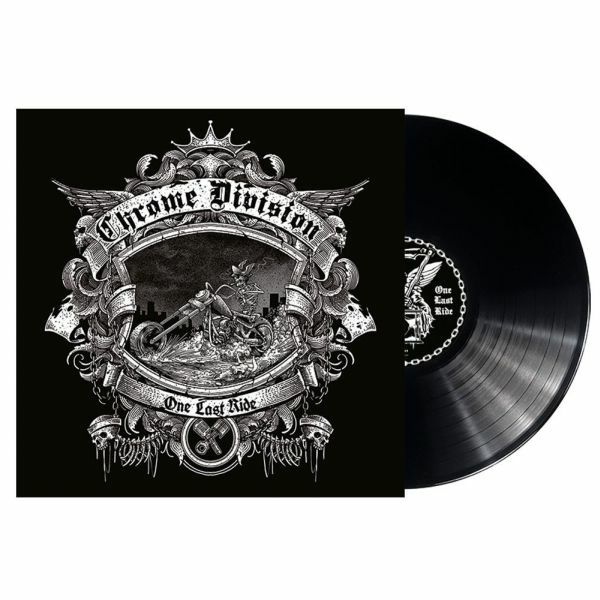 CHROME DIVISION - ONE LAST RIDE VINYL (LP BLACK) | Online Shop | Wizard LTD. Album: "ONE LAST RIDE VINYL (LP BLACK)"
- FINALLY THE TIME FOR MORE GROOVY ROCK HAS COME! For their last journey, the band recorded their tracks inside Studio Nyhagen Böverbru Toten and the special edition of the album will also contain a Spanish version of their rock anthem ‘I’m On Fire Tonight’ titled ‘Esta Noche Va A Quemar’.